We've seen the game before - Samsung using different processors for the same phone in different regions. We've seen it from others as well, like HTC with the "global" One X with quad-core Tegra 3, and the "local" with Snapdragon S4 for AT&T. Now sources say that the Samsung Galaxy S III, or whatever it gets titled come May 3, will also have a "global" version, which will be the one with the quad-core processor, most likely the Exynos 4412. That probably means there might be US carrier versions with Snapdragon, but let's not get ahead, May 3 is just around the corner. "As we've seen with Qualcomm's S4, [quad-core] isn't automatically better than a dual-core", the source added, as if to dispel the worries about performance. He also said, however, to "expect superlative benchmark performance" from the quad-core Galaxy S III. Given that last year's Exynos can hold clock for clock with the new Snapdragon S4, we wouldn't be very surprised if 4412 blows every other Android silicon out of the water. It reminds me last years and rumours about Samsung Galaxy S II and two different GPUs. and what are you going to do with 2GB of RAM? In mine opinion it is stupid question, the same question was about 1GB of RAM... Look to the future! it is for better multi tasking.dude you should keep yourself uptdated. "you should keep yourself uptdated"? i wasnt talking about the benefits of more RAM, i know it helps in better multitasking but 2GB is still more then a average user'll ever need 1 and half GB is more than enough. yeah right, same old ifans rumor on iphone.. not surprising. 2GB of RAM idk... I have heard that the new generation of RAM memory for mobile devices will come only in early 2013, but that not approved yet. It could still be 2GB of RAM... the NVIDIA Tegra 3 that has been out since late 2011 is capable of handling 2GB of RAM, its just that the few companies that use the Tegra 3 didn't want to pay to put 2GB of RAM in their devices, so we have only seen 1GB so far. Agree, but they won't start buying old generation 2 GB RAM memory because soon here will be new generation, thats mean they will wait till 2013. It will be rumor-ville until the handset actually ships. Then, there will be either a bunch of happy owners, or not many really bummed owners. If AT&T use crapdragon again, I would say GOODBYE!!! Kid, just wait when dual core S4 PRO(1.8ghz, Adreno 320 GPU) beats this quad core Exynos. Mark my words. there is no way snapdragon can beat mali.the mali-400mp(galaxy s2) can run quad core games(tegra 3).if you dont believe me search it on youtube. Look up Adreno 320. They say it's going to be more powerful than the Xbox360/PS3. That is going to be best. The Mali-400 is a little bit less powerful compared to the Adreno 225. 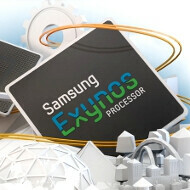 The Exynos on the Samsung Galaxy S II is not more powerful than the Krait S4 dual-core with Adreno 225. The Krait S4 Pro will be a 28nm 1.5 to 1.8GHz dual-core with Adreno 320. Here is are some stats as per PhoneArena.com: HTC One S (S4 dual-core with Adreno 225): Quadrant: 4867, AnTuTu: 7012, NenaMark 2: 60,7 HTC One X (Tegra 3 quad-core): Quadrant: 4848, AnTuTu: 11024, NenaMark 2: 47,4 Samsung Galaxy S II (Exynos C210 dual-core): Quadrant: 3113, AnTuTu: 6076, NenaMark 2: 51 Samsung Galaxy Nexus (OMAP 4460 dual-core): Quadrant: 2000, AnTuTu: 5503, NenaMark 2: 24 I think you need to go & do your research. do u guys know that the full potiential of xbox360 and ps3 has never been utilised, quad cores will be no better than single core unless someone programs the app to better utilise all 4.
what in the hell does that have to do with this article?